I'm in love with bright colors right now! Me needs summer! Fast! I feel like it's summer already. Well, spring at least .. Or almost.. Who's keeping track? :) Don't you just love this color? Yeah well.. Me too! 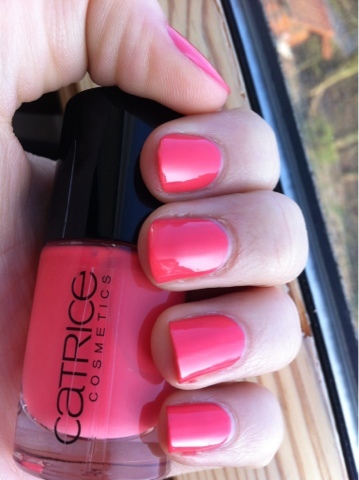 :) I'm wearing Meet Me At Coral Island from Catrice.